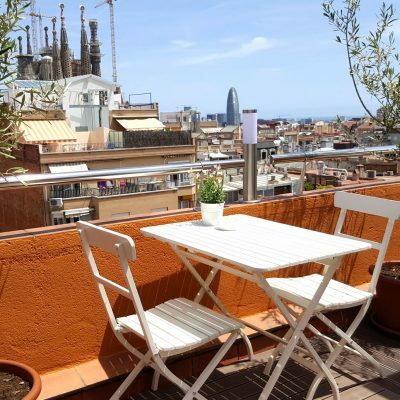 Loved our trip to Barcelona. 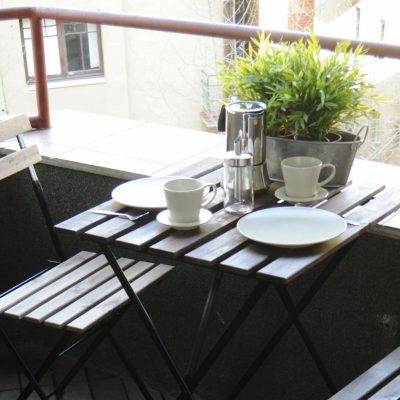 The apartment was in a perfect area with a great view, easy to get to other parts of the city. 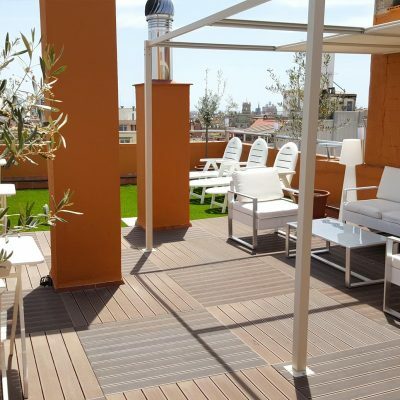 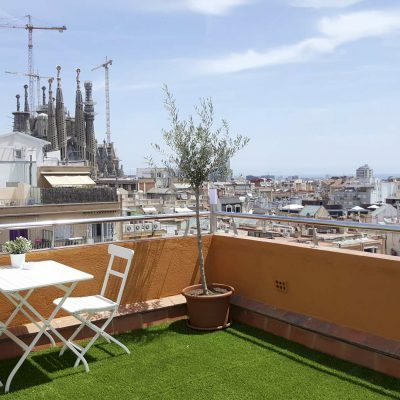 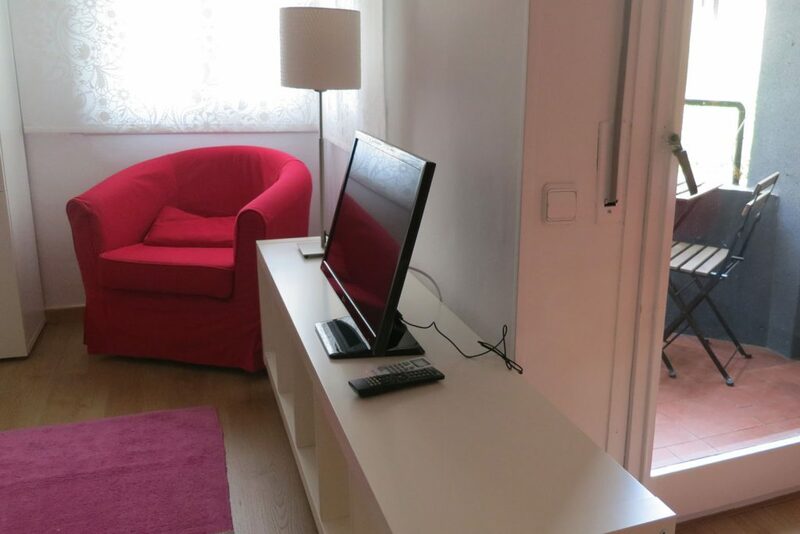 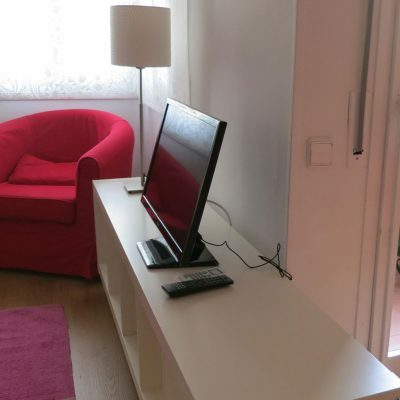 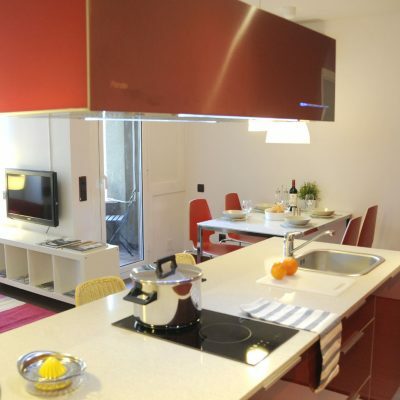 This apartment wants to be your home in Barcelona! 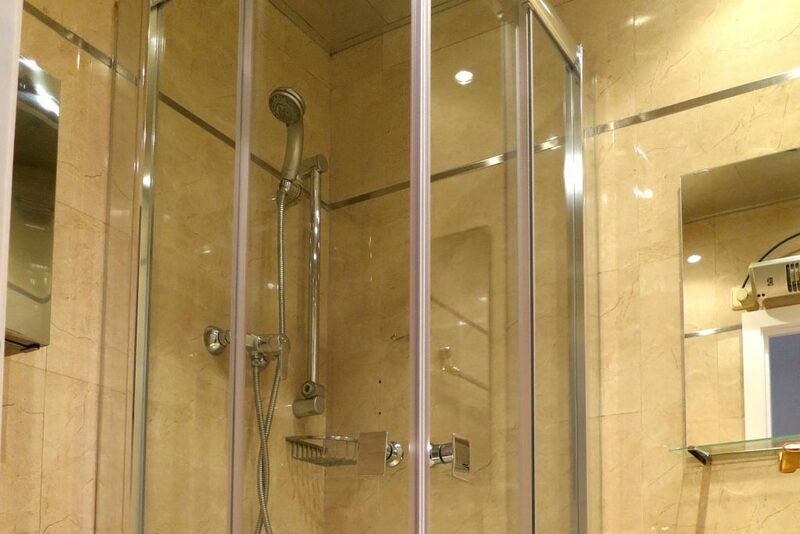 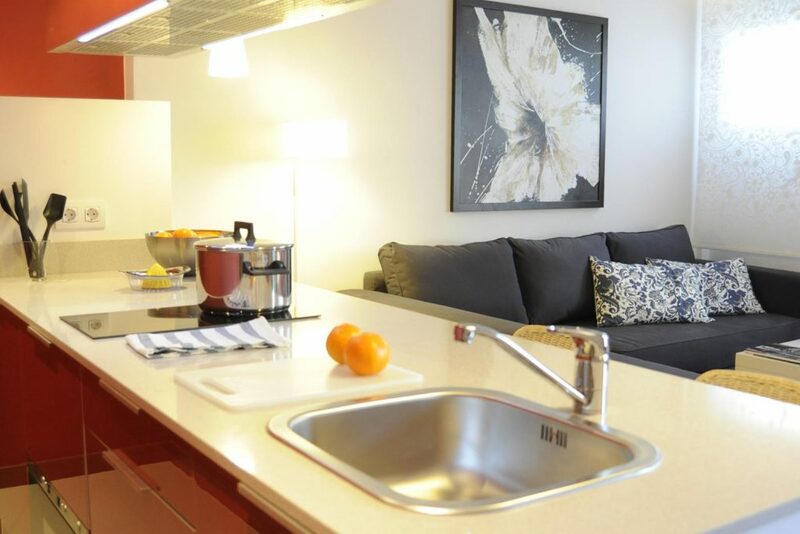 Our apartments are designed to make you feel at home. 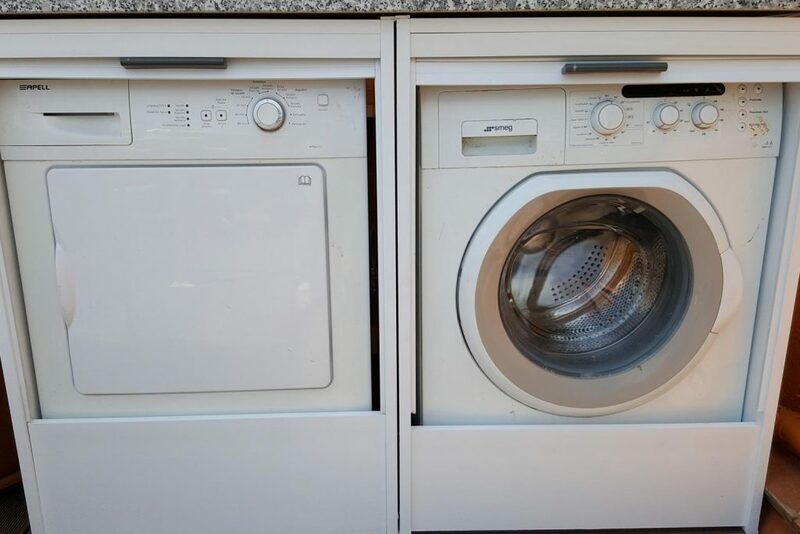 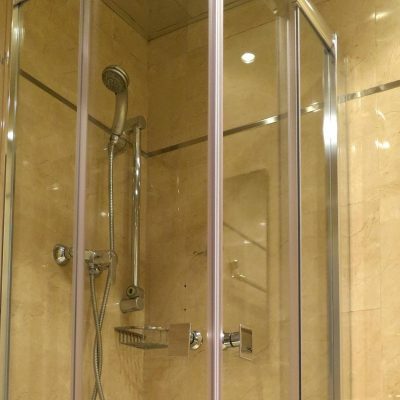 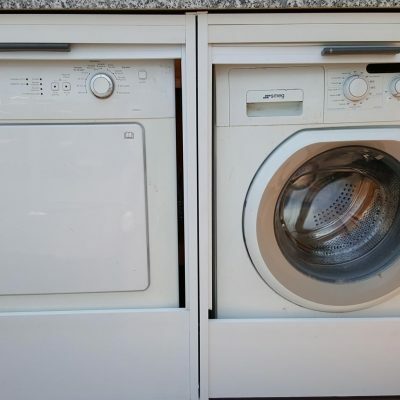 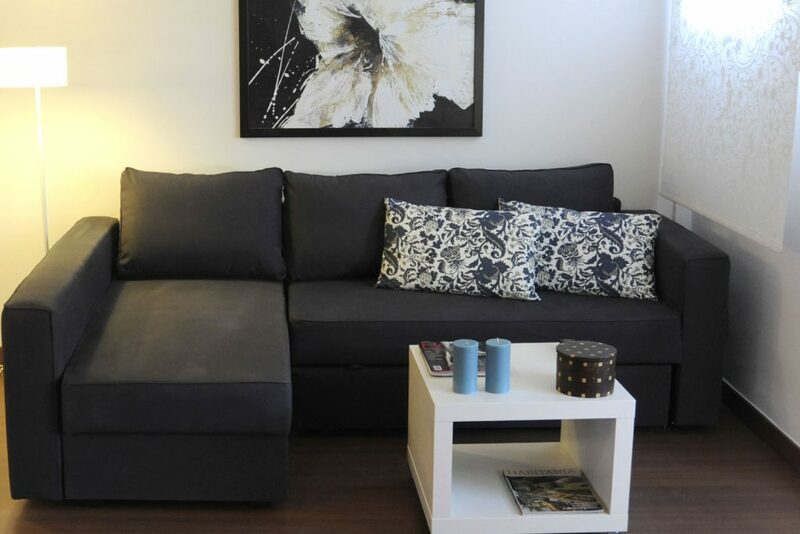 Functional, practical, comfortable and central. 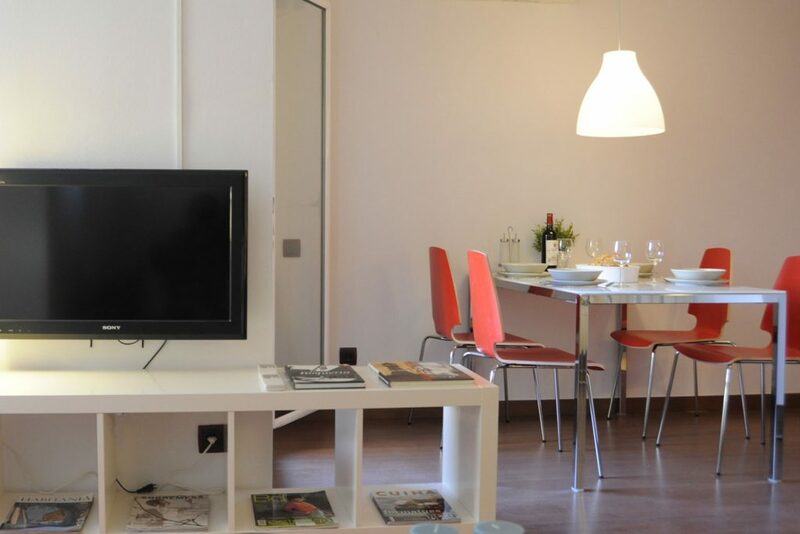 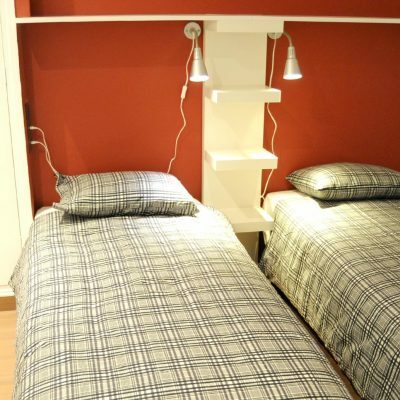 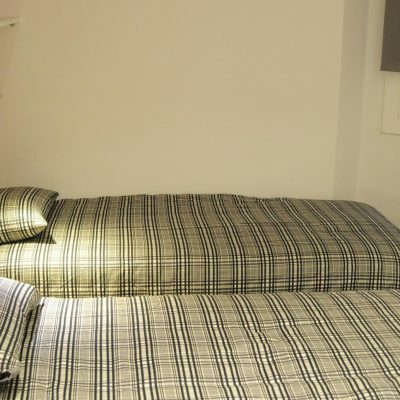 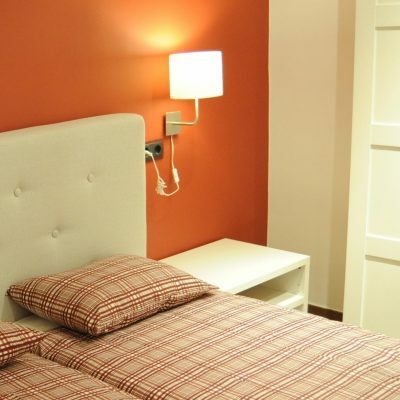 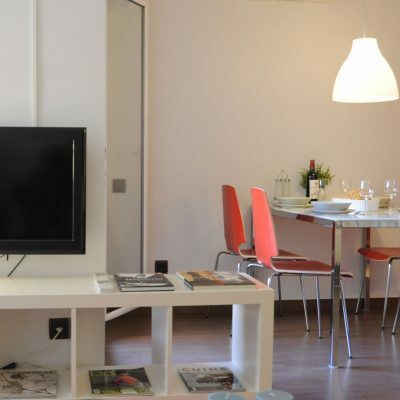 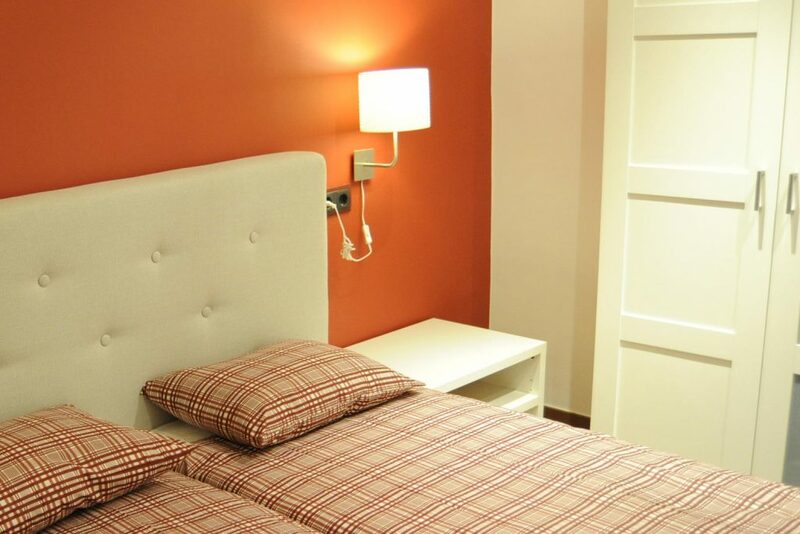 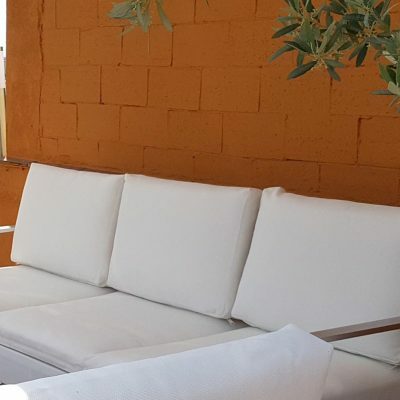 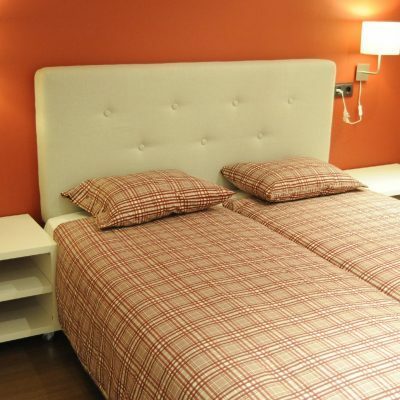 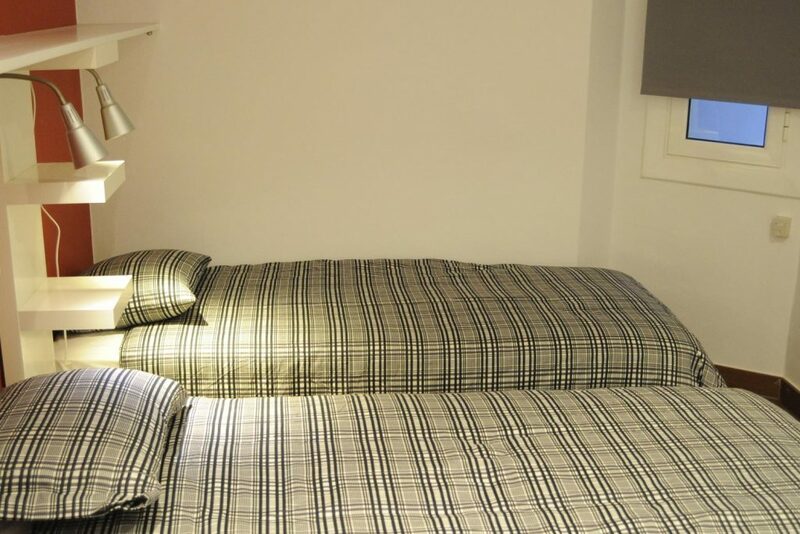 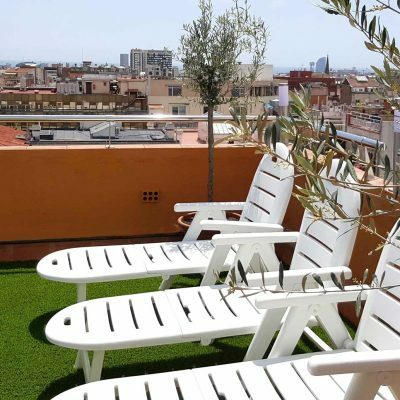 Ideal for families with children, they are equipped with everything you need to make your stay more comfortable and easy, so you only have to worry about what you want to visit in Barcelona! 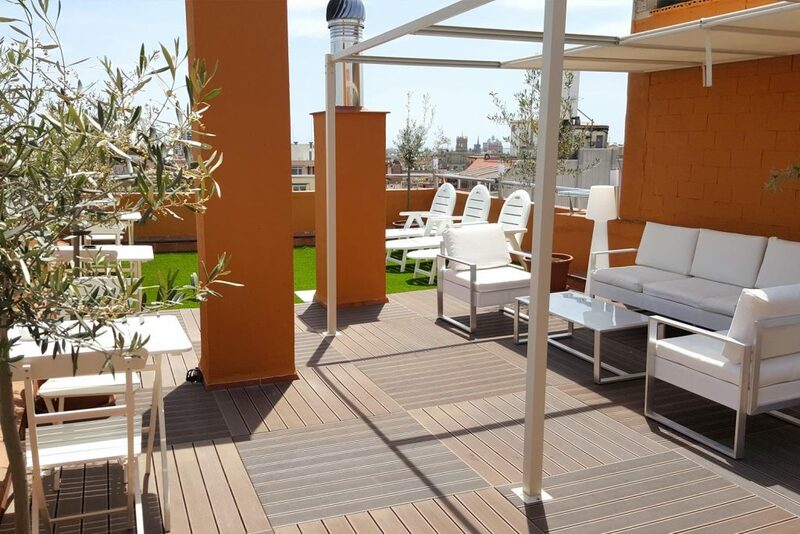 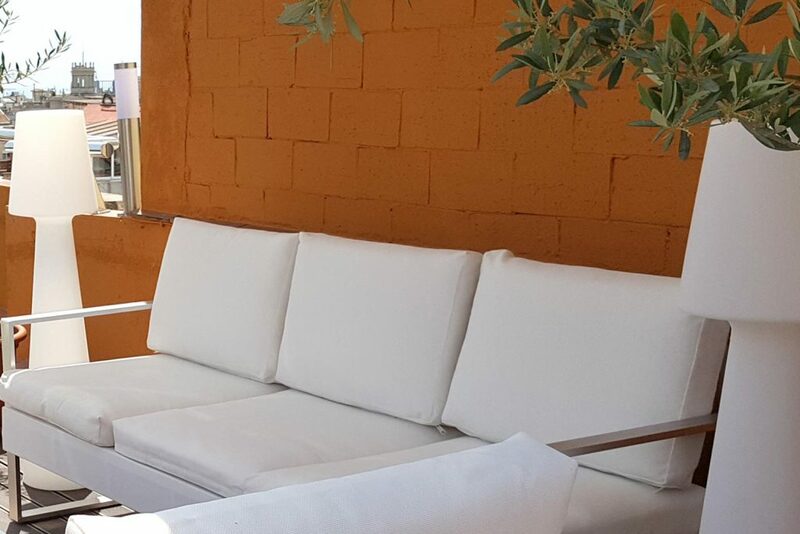 You will be able to use our sunroof terrace with a chillout area, tables and chairs, deck chairs and a shower. 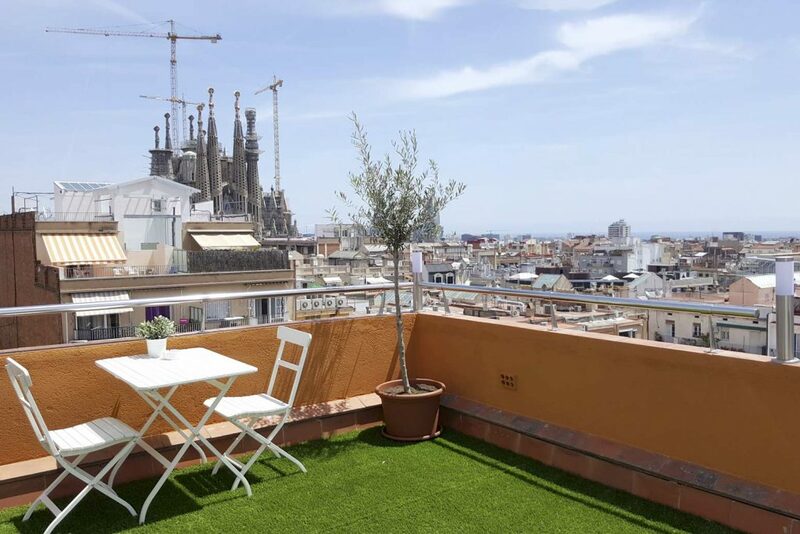 From here you can see the Sagrada Familia, as well as have an almost 360º view from the city. 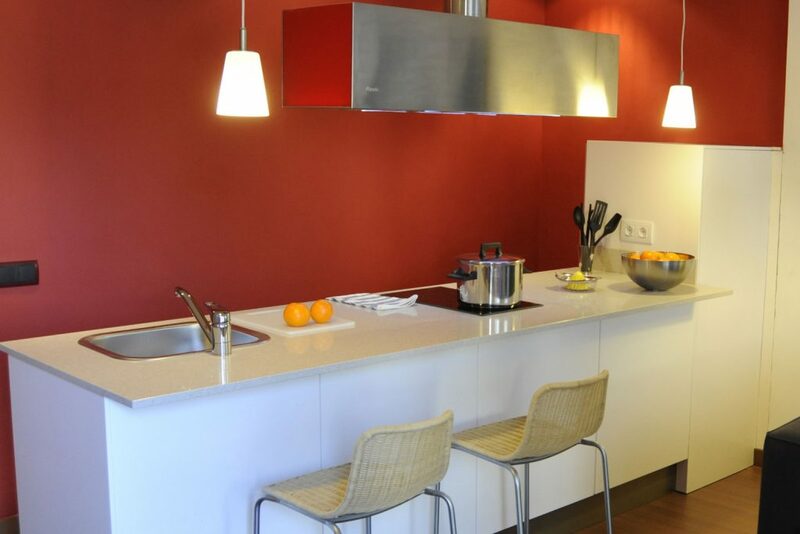 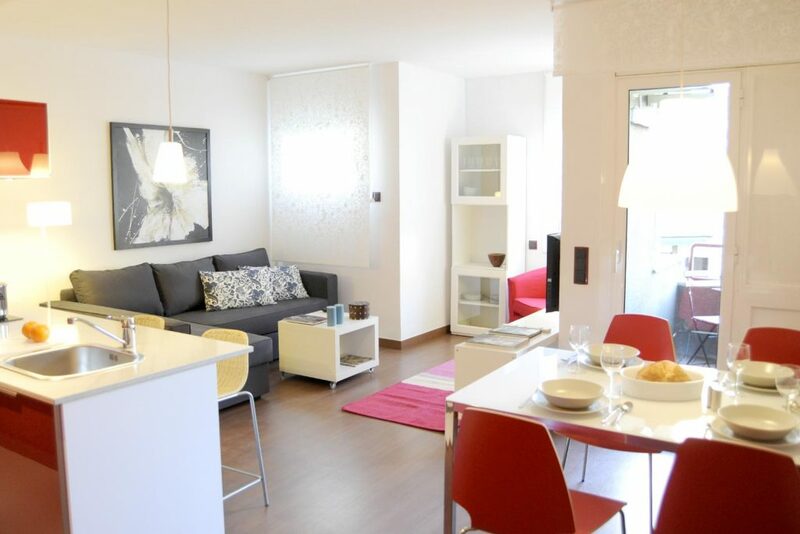 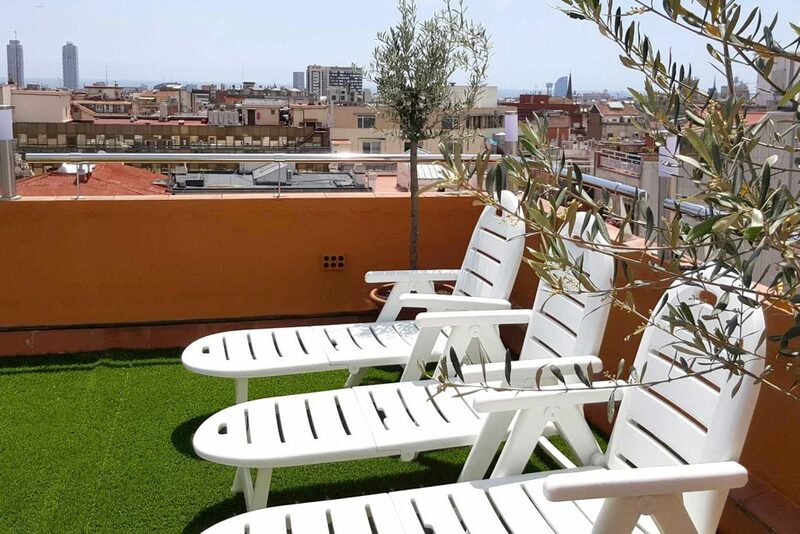 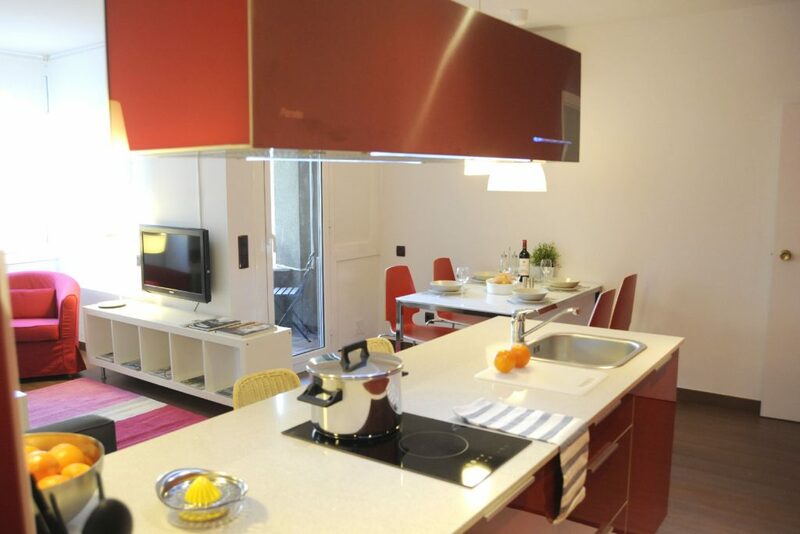 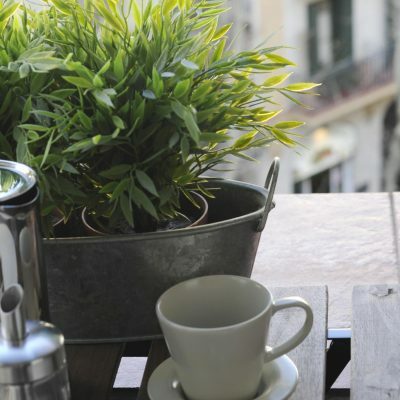 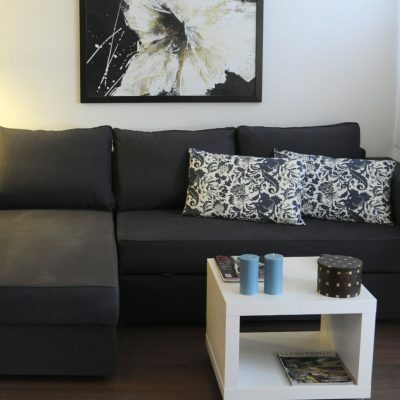 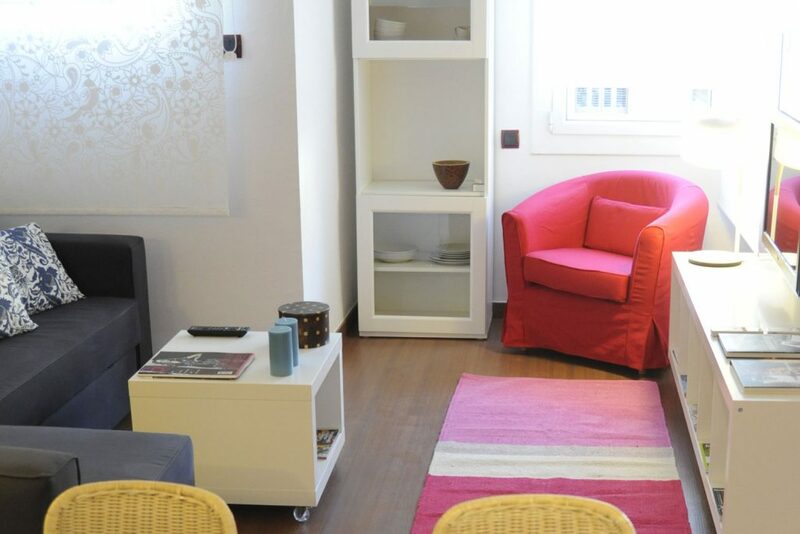 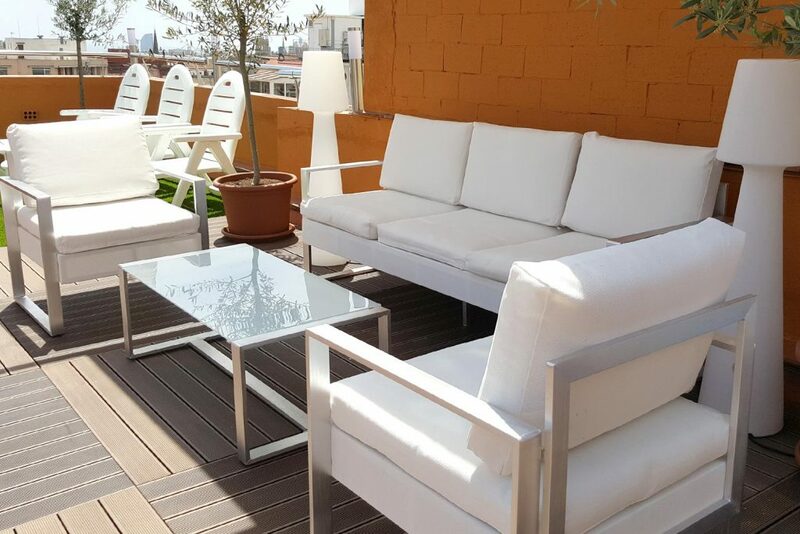 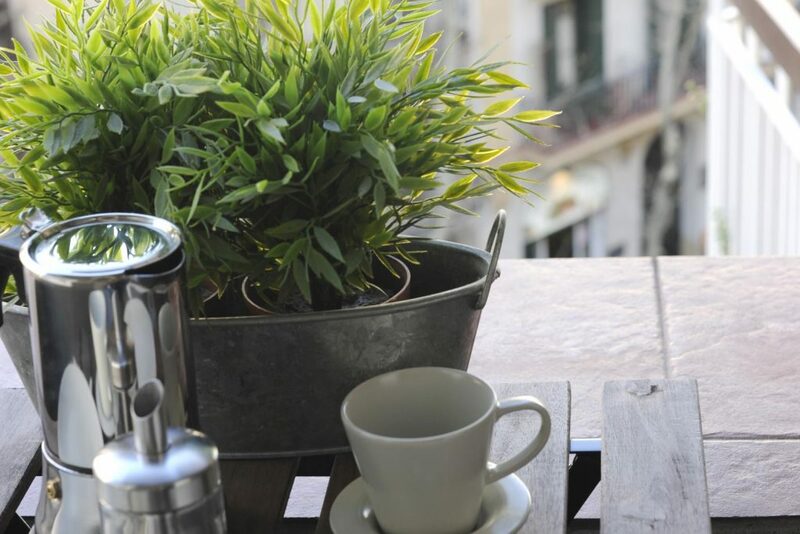 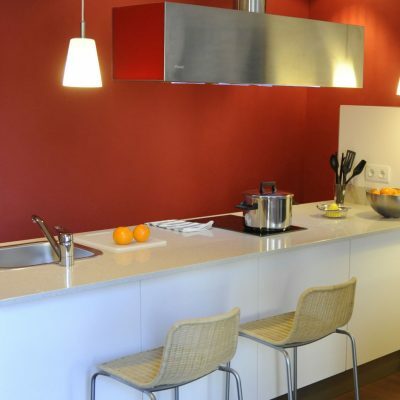 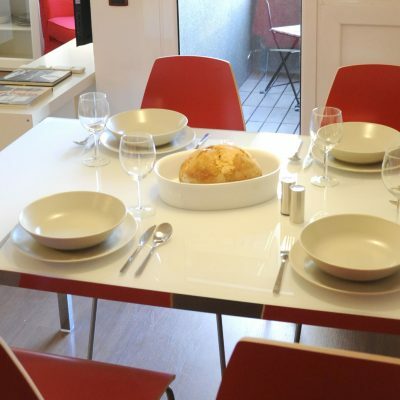 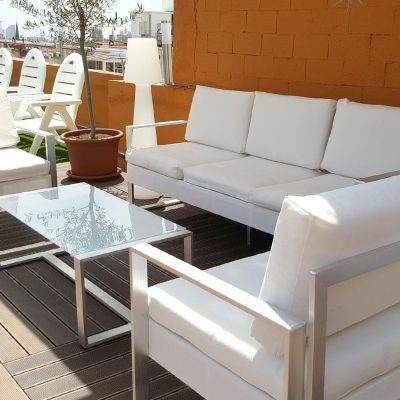 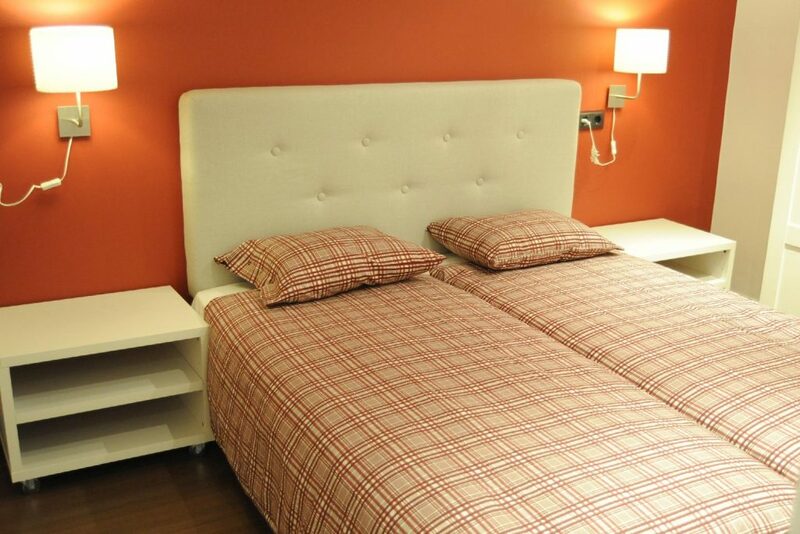 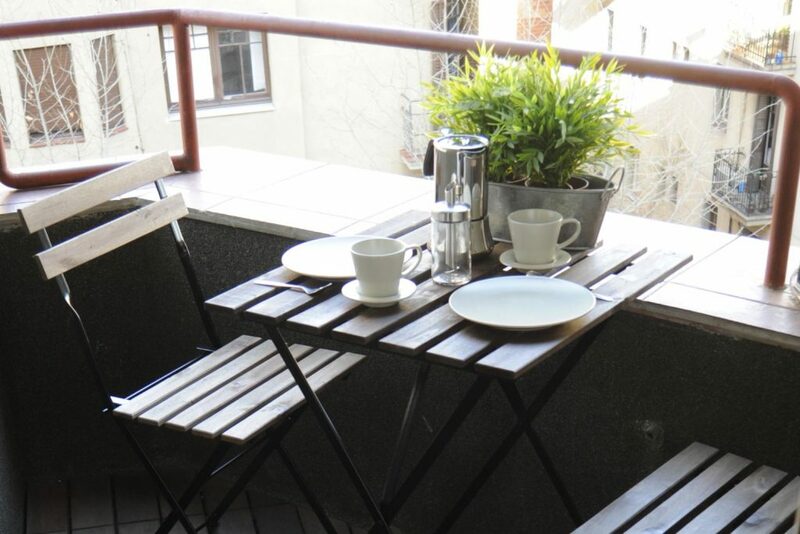 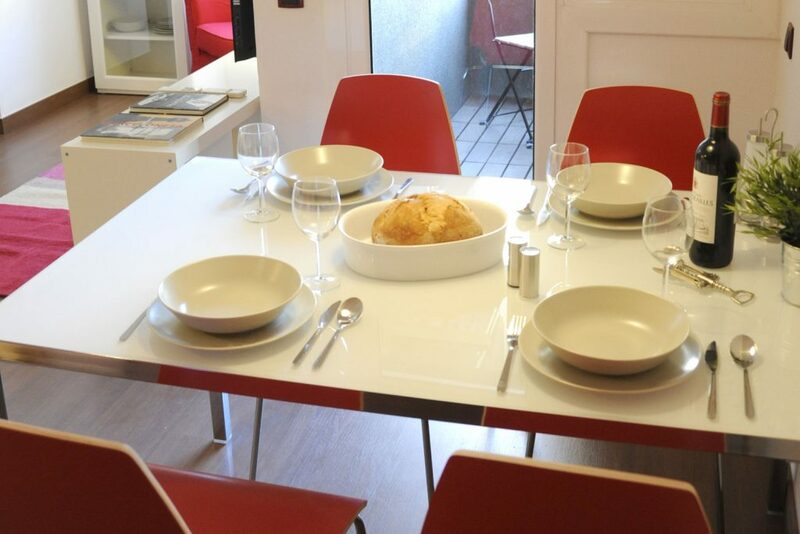 Your Home in Barcelona Apartments have a great location in the central area of Barcelona called l’Eixample. 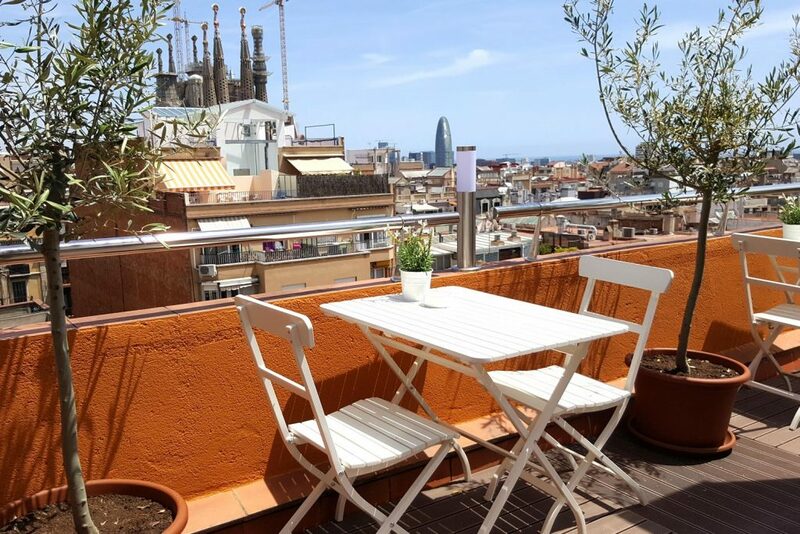 Very close to Sagrada Familia and only a couple of blocks from the metro, it is the ideal base to explore Barcelona. 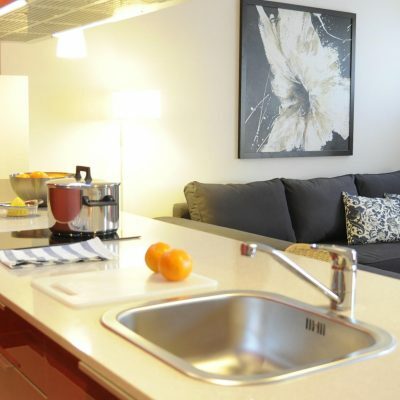 The area has all the services you will need: grocery stores, bakery, cafeterias, restaurants, fruit stores, park for the children, etc. 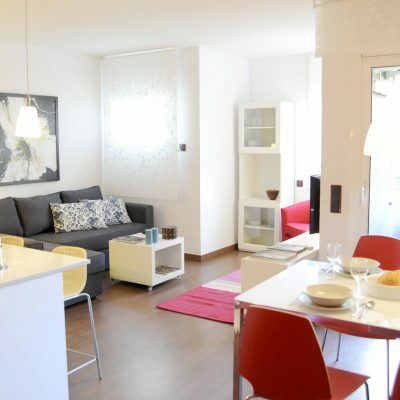 It’s a nice area where many people actually live, so the ideal place to really feel what a Barcelonian’s life is like. 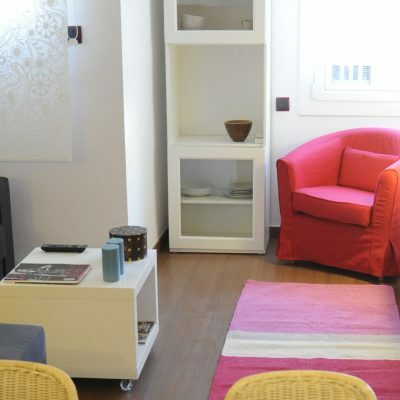 + info about our Location and how to get here! 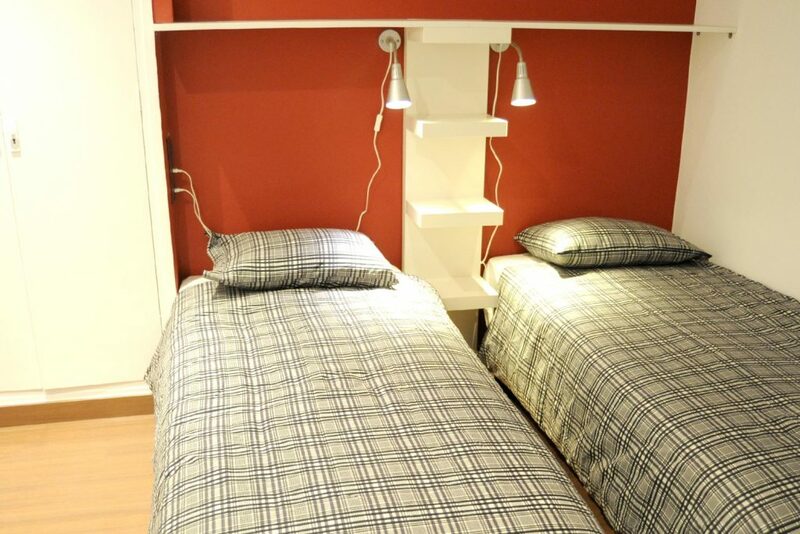 Read our TERMS AND CONDITIONS and Book here!